The Bachelor of Applied Science (BAS) at Eastern Oregon University is for those who have completed an Applied Associate degree at a community college and are interested in achieving a bachelor degree with an emphasis in Business Administration. Most prospective students are currently working in their chosen technical field and the bachelor degree will enable them to move into leadership positions within their industry. EOU generously accepts most associate degree credits and applies them to the Bachelor of Applied Science degree. Contact our advisor for the Bachelor of Applied Science program to learn more about credits that we accept. Learn in a personalized and exciting academic environment that fits with your lifestyle while you prepare for your future professional opportunities. EOU’s BAS builds on your expertise and presents a perfect next step forward in your career. Transferring to EOU? 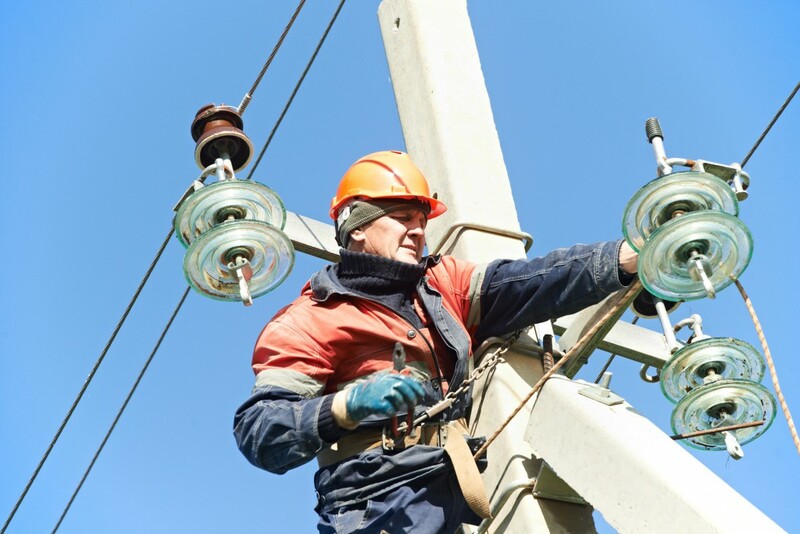 Our goal is to make the process seamless. Transferring from a community college? Special transfer pathways are created with community colleges to align your AA or AAOT with a bachelor’s degree in Applied Science. Career tracks like: Aviation, Business Administration, Veterinary Technician, Fire Science or Massage Therapy. 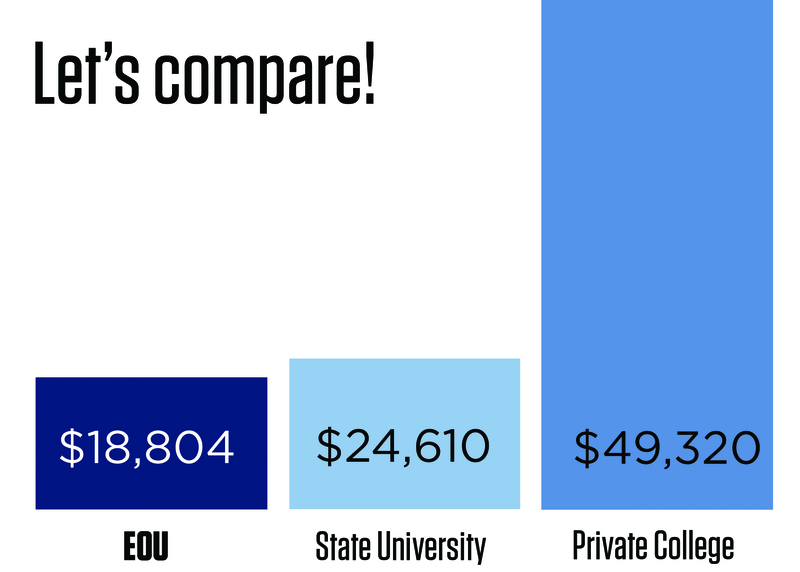 When including the cost of food and housing, a private college can cost more than $40,000 a year. 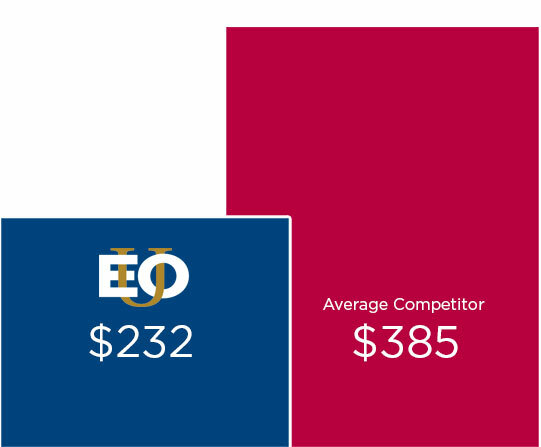 Attending EOU provides the private college experience with small classes and personal connections at half the cost.